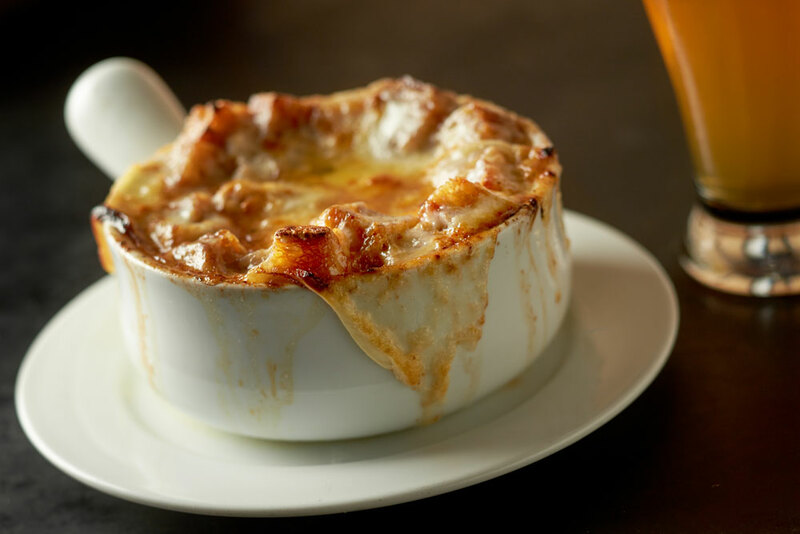 When I reviewed Bistro Agnes, the classic French restaurant from Ox chef/owners Gabrielle Quiñónez Denton and Greg Denton, I described their amazing French onion soup as being made from “the beefiest of beef stock.” I was SUPER WRONG. It’s made with roasted chicken stock. Doesn’t change my love for this perfect bowl of soup, with thyme croutons luxuriating in the broth underneath a metric ton of melted cave-aged gruyère. Paired with the city’s best Salade Lyonnaise, with escarole and frisée lettuces topped with bacon fat brioche croutons and a warm bacon vinaigrette, it’s a power lunch to die for.